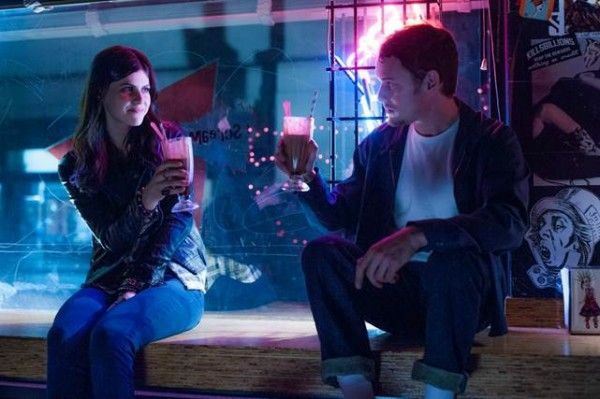 Earlier this week I had the opportunity to visit the set of Joe Dante‘s new film Burying the Ex, a horror comedy about Max (Anton Yelchin), a nice guy who moves in with his girlfriend Evelyn (Ashley Greene) only to find she’s a controlling nightmare. 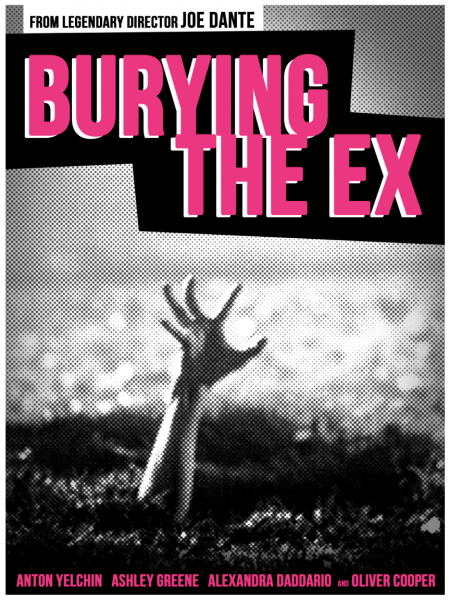 He’s saved the burden of a nasty breakup when she dies in a freak accident, and soon after meets the girl of his dreams (Alexandra Daddario). Everything seems hunkydory until Evelyn returns from the grave, crazy as ever and now with added undead super strength! As a huge fan of Dante’s I was excited to get an early look at what the film has to offer and speak with some of the folks involved. Though the film is already in production Dante and co have mounted a crowdfunding campaign through FundAnything to help with post-production and distribution. There are some damn cool rewards on the table including exclusive footage, screening invites, and even lunch with Mr. Dante himself. You can check out the official page here. While on set I sat down for an interview with Yelchin. 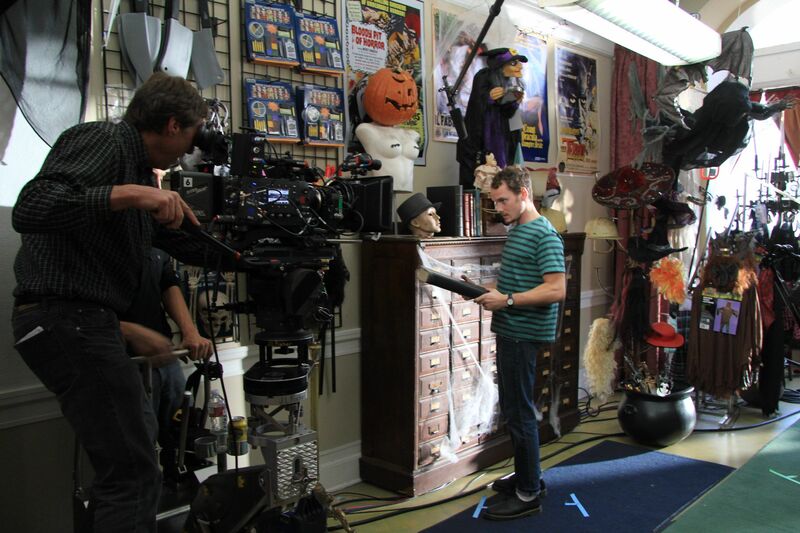 He talked about what attracted him to the script, working with Joe Dante, learning about the horror genre, and what audiences can expect from Burying the Ex. He also briefly touched on his feelings about getting a new director for Star Trek 3. Check out what he had to say after the jump. How did you come on board this project? ANTON YELCHIN: I basically just read the script and met with Joe and that was it [laughs]. Yeah, this all seemed to come together very fast. What did you like about the script? So you’re a fan of the genre? YELCHIN: Yeah, I mean to be honest I haven’t watched that many horror films. I’ve been going back since we started and watching a lot of classic horror, but newer horror I’m always scared. So I haven’t seen that much. Can you talk a little bit about your character and kind of set up the film for people? 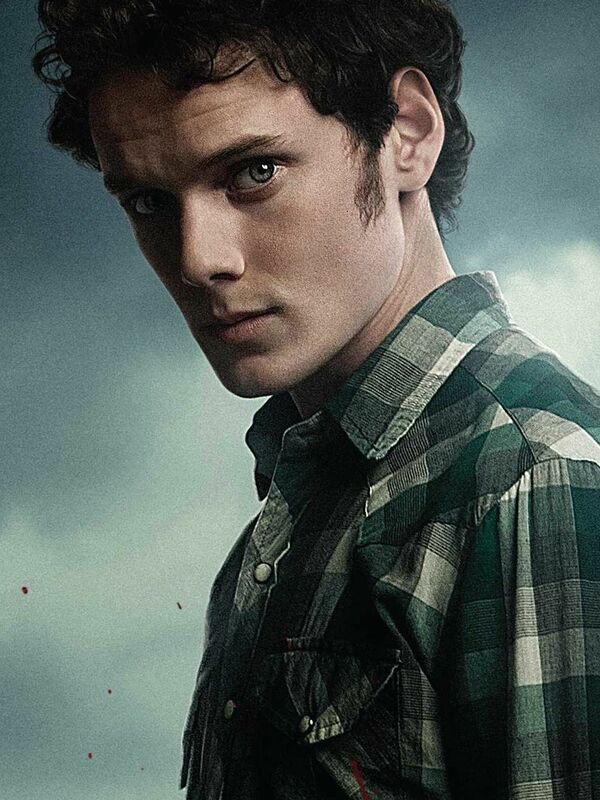 YELCHIN: I play this guy Max who has this interesting and intelligent girlfriend. Interesting in the sense that what’s interesting about her is that she’s actually very active and assertive. When we meet him her being assertive has sort of made him an object of her control. He’s completely powerless. Long story short, when they decide to break up an accident happens, she dies, and in a little bit of time she comes back as an undead. From what I saw today she appears to be a speaking undead. YELCHIN: She is, yeah. She’s an articulate undead. We talked about how this came together fast, and they said you’re on day 14 out of 20 on shooting, so clearly you’re continuing to move fast. What has the shoot been like so far? YELCHIN: It’s been a blast. It’s a really good group of people, a really good crew. I’ve enjoyed my time with Joe very much. I feel very privelidged to have this time with him. It’s been good. It’s been fast. We shoot really fast. We don’t have that much time and we have a lot to shoot, but it’s been good. Talk a little bit about working with Joe and his style as a director. YELCHIN: Joe makes pictures in a way that I feel is still kind of a Corman-esque way in the sense that he knows exactly what he wants. He sees what he wants and thinks of things in terms of the cutting room. He sees what he’s going to get out of what he gets. I think one of the biggest privileges of working with Joe is just his encyclopedic knowledge of cinema. So through working with him I’ve learned about all these films that I didn’t know about and they’ve inevitably influenced me, in this film and in general, in a lot of ways. Be it those films or some of the classics you said you’ve been watching, have you seen anything that really impressed you? YELCHIN: Yeah, I think they’re all impressive. What Universal was doing was making very Germanic films in America with very Germanic themes and really Germanic lighting and set design. Incorporating that kind of European modernism into American mainstream cinema and making really, as a result, kind of transgressive pieces of film that inevitably then influenced later transgressive B-film movies like House on Haunted Hill. German filmmakers like Karl Freund came here and brought that kind of philosophy to the states and made this wonderful contribution to American cinema. All these films I’ve enjoyed very much. And whether they were German or not they were always influenced, you know, the actors- Peter Lorre was in these films and Conrad Veidt. There was just this sort of radical confluence of American mainstream consumerist cinema and sort of really dark complex European modernism. It makes these movies so enjoyable and so great. What are some of the themes of Burying the Ex? YELCHIN: I think one of the themes is just that this is a film in a history of films, in the history of the genre. I think that a very important part of understanding this movie, like Joe’s other films, is understanding that it is a part of what comes before it and is a film. It is a simulation of reality, not anything other than that. To me, the other theme is that to a certain extent it’s also, like other monster films, about control and activating yourself against it. It’s also a film about standing up, saying what you know is right and ending things when you know they’re wrong. I know that for Alan, the writer, I don’t want to speak for him, but from what I understand a lot of it is about being able to end relationships instead of having them haunt you. But I like to think of it in terms of the broader sense of genre and I think a lot of that has to do with control and activity against it. I think my favorite thing about Joe’s previous films is his very unique tone. Talk a little bit about what kind of tone we can expect from this one. YELCHIN: Yeah, I think why this is a perfect script for Joe is that it does have that tone of somewhere between sort of grotesque B-movie horror and comedy, and yet being very self aware and sort of cynically self-aware of the genre tropes. So yeah, I think it’s similar to his other films. It’s that very intelligent blend of horror and comedy, self-conscious blend of horror and comedy. So, you know, they announced today that Joe Cornish is off Star Trek 3. ANTON YELCHIN: Oh did they announce that? Yeah. What are your thoughts on getting a new director? YELCHIN: I don’t really have any. YELCHIN: No. I mean, whoever they choose I’ll be excited to work with. I trust the people involved and trust that they want what’s best for the film. I’m sure they’ll find someone talented. If it’s not Joe Cornish, who’s very talented, it’ll be someone else. I think everyone’s very smart. Everyone at Bad Robot, J.J. and Bryan Burk are all very, very smart people. So they’ll do what needs to be done for the film and I’ll be excited to find out what that is. Have you heard anything about when you might start shooting? YELCHIN: No, clearly you know more than I do [laughs]. When you go from working on a huge franchise film like Star Trek to something much smaller like this, does the difference in any way change your job as an actor? YELCHIN: No I think the job is the same. The way I see the job, my definition of it, is to create characters to the best of your ability and then fit into what’s trying to be accomplished in the general framework of the film. I think that’s whether you’re doing this- even if you’re doing musical theater. That’s what I think an actors job is. I don’t know. I like to think what an actors job is is to create characters.